President Rouhani described bilateral, regional and international cooperation and relations between Iran and France as contributing to development of peace, stability and security in the region and stressed the need to further deepen Tehran-Paris ties. Iranian minister of education said that two students named Armin and Shayan have been killed in recent public protests. President Recep Tayyip Erdogan stressed on peace and stability in Iran when he talked to his Iranian counterpart Hassan Rouhani over the phone on Wednesday, according to a Turkish presidential source. Iranian Minister of Communications and Information Technology Mohammad Javad Azari Jahromi has offered apology to those whose jobs have been interrupted due to the recent “temporary” restrictions on certain social media. French Foreign Minister Jean-Yves Le Drian has postponed his trip to Tehran, which was planned for Jan. 5, to a future date, the French presidency said Tue., according to Reuters. The president of the United Nations Security Council (UNSC) says the 15-member body is not currently planning to hold an emergency meeting on Iran after the US said it would make a call for an urgent session of the council to be held on the situation in Iran. The Iranian intelligence forces arrested an individual behind the death of a father and his son in the city of Dorud amid recent unrest. Iranian Minister of Economic Affairs and Finance, Masoud Karbasian reassured that three Russian banks will provide Iranians with needed banking services, finance, and credit. 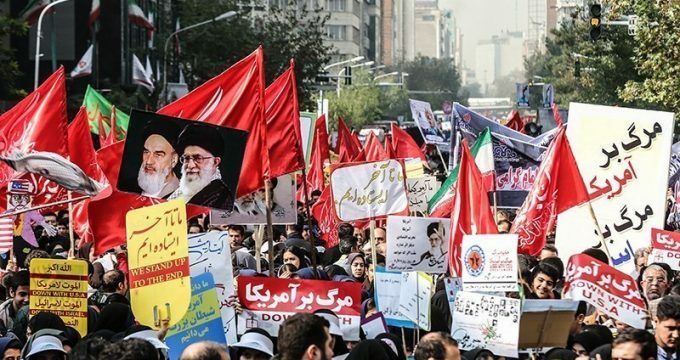 Iran’s labor minister pledged to listen to the demands of protesters who’ve taken to the streets over the past week even as state-run media said counter-rallies are being staged to support the government.